The Salvation Army (Norwegian: Frelsesarmeen) was impossible to ignore when “Norwegian of the Year” for 2014 was chosen by ThorNews: Officers, soldiers and hundreds of volunteers contribute every day so that Christmas and the rest of the year gets a little brighter for those who are in need. The organization never puts focus on itself and keeps a low media profile. The efforts are put into practical work for those who need it the most – the poor, the sick, drug addicts and other “outcasts” that for one reason or another have fallen outside the community safety net. The Salvation Army is especially visible now in the weeks before Christmas with its traditional Christmas kettles that since 1901 have warmed thousands of needy. 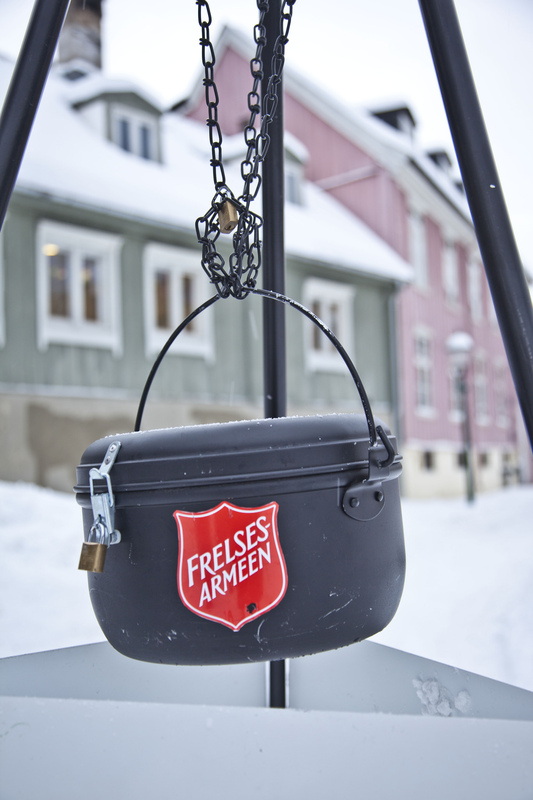 It is at this time of year Norwegians donate the most, and money and gifts are collected from 150 Christmas kettles placed in cities and villages throughout the country. The money collected is spent locally. A portion of the donations is used to help at Christmas, as food distribution, meals and presents for children. Others get financial assistance for heating, clothes, equipment and other things they may need. Another portion of the money from the Christmas kettle is used for vacations and experiences for children who would otherwise not have the opportunity to go on holiday. The Salvation Army in Norway is organized together with Iceland and the Faroe Islands and operates, among others, 57 social institutions, 2 volunteer centers, 42 Fretex second hand stores, 1400 collection bins and 105 congregations. This soldier greets you with a smile and some kind words at one of the Christmas kettles. (Foto: frelsesarmeen.no). In 2010, the Salvation Army handed out more than 50,000 food boxes to economically disadvantaged families and persons, 2393 did receive a requisition to buy clothes in a Fretex store, while 1503 received direct financial support. 2277 people made a deal to get someone to talk to, while 2151 homes and 3343 prison cells were visited. The numbers are impressive considering that Norway only has about 5 million inhabitants. “The Salvation Army is a diverse and distinctive denomination showing care for the whole person by providing soup, soap and salvation to those in need (…)”. The text shows that they have understood something many other charities can learn from. There are many charities that deserve honor and glory, but ThorNews believes that the Salvation Army is the first that should get our recognition. The organization is well run and the administration costs are low. It is well known that the officers and civilian staff only receive a very modest salary compared to the huge efforts they put down. The Salvation Army’s work for the disadvantaged in Norway stands as an exclamation mark now in the days before Christmas. If you pass one of the Christmas kettles, donate with your heart. You can be sure that the money goes to someone who really needs them. 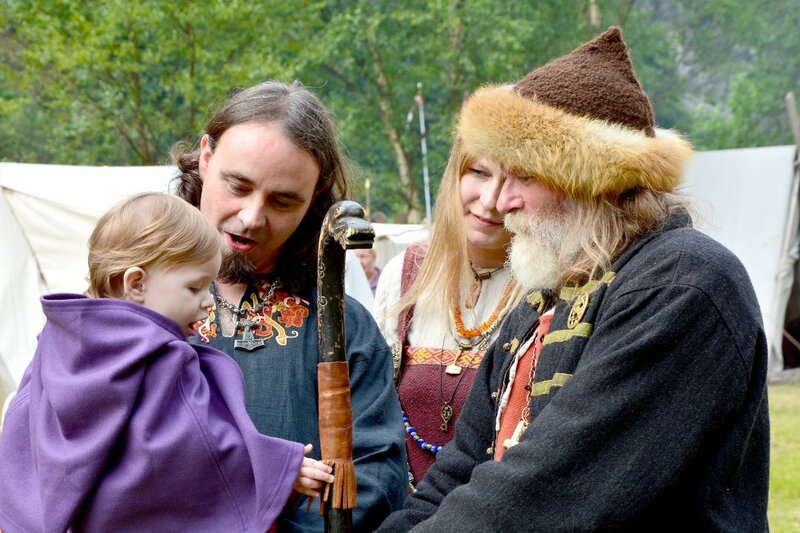 Editor’s Note: The prize for “Norwegian of the Year” is a donation from ThorNews directly to the Salvation Army. Whether you live in New York, Stockholm or Oslo you can easily find the information you need by a quick search on the Internet.